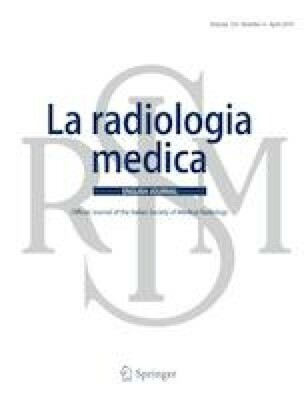 To assess the current status of patient’s informed consent (PIC) management at radiological centres and the overall opinion of radiologist active members of the Italian Society of Medical Radiology (SIRM) about PIC dematerialisation through an online survey. All members were invited to join the survey as an initiative by the Imaging Informatics Chapter of SIRM. The survey consisted of 11 multiple-choice questions about participants’ demographics, current local modalities of PIC acquisition and storage, perceived advantages and disadvantages of PIC dematerialisation over conventional paper-based PIC, and overall opinion about PIC dematerialisation. A total of 1791 radiologists (amounting to 17.4% of active SIRM members for the year 2016) joined the survey. Perceived advantages of PIC dematerialisation were easier and faster PIC recovery (96.5%), safer storage and conservation (94.5%), and reduced costs (90.7%). Conversely, the need to create dedicated areas for PIC acquisition inside each radiological unit (64.0%) and to gain preliminary approval for the use of advanced digital signature tools from patients (51.8%) were seen as potential disadvantages. Overall, 94.5% of respondents had a positive opinion about PIC dematerialisation. Radiologists were mostly favourable to PIC dematerialisation. However, concerns were raised that its practical implementation might face hurdles due to its complexity in current real life working conditions. Q1) Which Italian region do you work in? Q2) What is your age? Q3) What is the site of your main professional activity? Q4) What is your professional degree? Q5) How would you qualify your computer skills? Q7) Can PIC be revoked by the patient before the procedure? Q9) The main goal of PIC dematerialisation is to develop a digital document with full legal value that will ultimately replace conventional, paper-based PIC. This process requires patients to approve the acquisition of advanced electronic signature, and radiologists to use digital signature systems as well (e.g. smart card, token, etc.) to countersign PIC. In your opinion, what are the main advantages of PIC dematerialisation? Q10) In your opinion, what are the main disadvantages of PIC dematerialisation? Q11) Dematerialisation is a process on which the Italian government has invested heavily. “Digital Italy” would allow savings around 43 billion euro per year. Considering the overall issues involving your professional activity, do you believe this process would be needed?